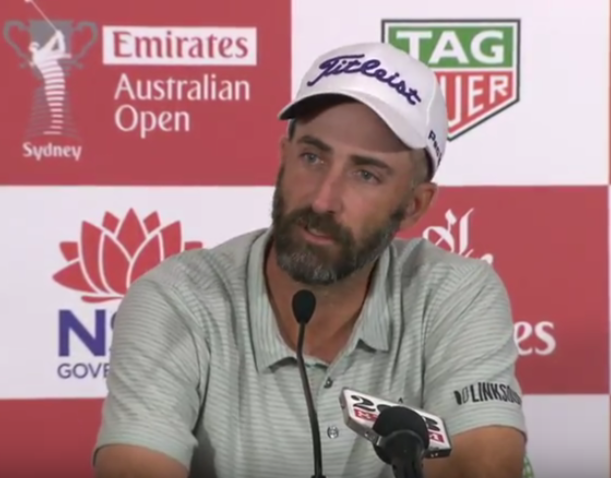 Geoff Ogilvy was in fine form on many topics in his pre-Emirates Australian Open press conference, but it was his commentary on distance that earned the most social media buzz. His comments on that come at the 15:50 mark in response to a question from Mark Hayes. Ogilvy believes a "rollback" can be achieved in a way that slows down distance for his ilk, while not harming the recreational golfer. But he concedes that should bifurcation of the rules be the only way, then "it's the way we need to go." He goes on to discuss how this is a complicated thing but that based on the players, manufacturers and influencers talking, that a rollback of some kind "seems like it’s going to happen." Ogilvy's stances is to take action "purely so we don’t have to change our stadiums," noting that when he started playing major events 300 yards "was a massive hit" and is now "legitimately short. Mostly, he reiterates how the distance gains have "changed the way we play the great courses" and how it has made "Augusta not function" as it was intended, reminding us that "Brooks Koepka didn’t hit more than 7-iron on the longest course in history" when winning the 2017 U.S. Open. But he also--Wally take note--points out the opportunity in this for manufacturers to sell more product and solidify their market position by making a great ball under specs different than the current rules. Though as he notes, "the implementation is going to be interesting." Ogilvy was also asked about Brandel Chamblee's assertion this week that 8,500 yard courses are a must in golf to properly test today's players with strategic decisions (he still has not outlined who will pay for this expansion of major venues). Ogilvy agree that is the yardage to test players, but no with the idea of changing courses to fit today's player and equipment.